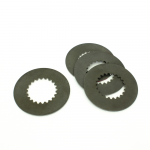 This friction plate for size K4 differentials (ZF/Drexler) has a thickness of 2.0mm. This part can be used to replace the original ZF or Drexler.. 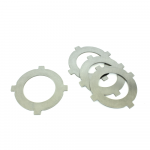 This friction plate for size K4 differentials (ZF/Drexler) has a thickness of 1.5mm. This part can be used to replace the original ZF or Drexler.. 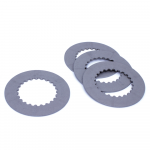 This friction plate for size K4 differentials (ZF/Drexler) has a thickness of 1.5mm. 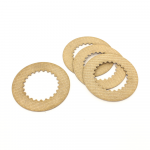 This friction plate is used small splines (Z=21). Please contact us if.. 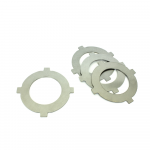 This friction plate for size K4 differentials (ZF/Drexler) has a thickness of 1.5mm with molybdenum coating material. Please contact us if you need any assistance.. 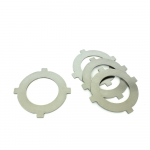 This outer plate for size K4 differentials (ZF/Drexler) has a thickness of 1.5mm. This part can be used to replace the original ZF or Drexler.. 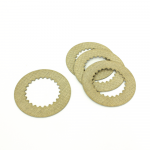 This outer plate for size K4 differentials (ZF/Drexler) has a thickness of 2.0mm. This part can be used to replace the original ZF or Drexler.. This outer plate for size K4 differentials (ZF/Drexler) has a thickness of 2.2mm. This part can be used to replace the original ZF or Drexler.. 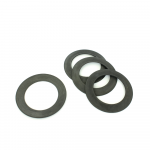 This belleville washer (or cup spring) for size K4 differentials (ZF/Drexler) has a thickness of 1.5mm. The washer has an inside diameter of 50mm and.. 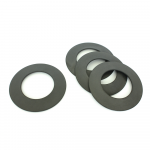 This belleville washer (or cup spring) for size K6 differentials (ZF/Drexler) has a thickness of 1.5mm. The washer has an inside diameter of 50mm and.. 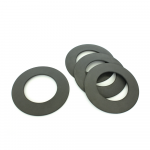 This belleville washer (or cup spring) for size K6 differentials (ZF/Drexler) has a thickness of 2.0mm. The washer has an inside diameter of 50mm and..